The San Luis Obispo County District Attorney’s Office is halting a longstanding practice in which prosecutors receive paid time off in exchange for taking on around-the-clock shifts in which they work on-call to assist law enforcement officers. The practice dates back more than 30 years, but a recent investigation by the county auditor’s office found that it violates both the prosecutors’ labor agreement and the state constitution. That is because the practice of compensatory time off (CTO) is not included in the written labor agreement, which the county board of supervisors adopts. 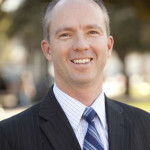 Erb’s office began investigating the issue after receiving a tip through the county’s whistleblower hotline. On Wednesday, Erb sent a report to Dow informing him of the results of the investigation. In Dow’s response to Erb, the current district attorney stated that prosecutors had been receiving nine days of CTO a year in exchange for two weeks of on-call duty. The on-call work primarily consisted of helping law enforcement officers with issues related to search warrants, Dow wrote. Dow noted that the similar practices occur in several other California counties. However, those counties have adopted written memoranda of understanding. The CTO practice in San Luis Obispo County may have begun between 1978 and 1984 under then-district attorney Christopher Mooney, according to Dow’s email. The paid time off arrangement spans the terms of four elected district attorneys. The Government Attorney’s Union, which represents the deputy district attorneys was/is in negotiations with the county over compensation for the deputy district attorneys. This is following the DDA’s lawsuit against the county over retirement contributions. No doubt some DDA filed an online whistle blower complaint as a tactic to get the county in the corner on negotiations. DA Dan Dow, the guy the DDA’s helped elect, will tell the BOS and law enforcement that he cannot force his employees to work after hours or to be on call to review search warrants, etc. This, DA Dan Dow will say, has serious negative implications on the administration of justice, why the world might even stop rotating on its axis. They will then try to elicit support from law enforcement leaders that this issue is indeed critical to public safety and must addressed now. The DDA’s will ask for overtime pay at time and one half for after hous work and on call pay. The BOS will decline, but will give them the same 54 hours of administrative leave all other county salaried FLSA Exempt employees receive for being on call. The real story is that there is no legal requirement for police officers to take their search warrants to a DDA for review before presenting it to a judge for teview and signature. This county, under DA Chris Money started the practice at the request of the judges, who didn’t want to actually have to go through and read a lengthy warrant looking for legal or procedural errors. The judges wanted to put the burden on the DA, even though no legal requirement existed at the time. I say call their bluff. Take them out of the equation and let this county’s law enforcement get warrants in the middle of the night the same way that most of the other counties in California do. Police officers will still be able to meet with DDA’s during regular business hours to review and prepare a case for prosecution. The ONLY reason this is coming out is so they can get more in negotiations. They want some OT pay, not comp time. Aw, you are no fun. It was just getting good. Pretty funny how I misspell a word(albeit due to sticky keys) in a post where I criticize someone’s spelling! BS on having to be paid for being on call. Yes, these bloodsucking DAs should be paid ot if they have to come in for some bs warrant. Sorry, losers, it is part of the job. Many private sector jobs have you on call only to pay you if you have to come to work. These guys deserve better? Once again, the taxpayers are getting screwed by the unions. When are we going to standup up and say no f ing more? Fire them all and start over if they don’t like it. By the way, they DO deserve more than you do for being on-call to fix the plumbing at McDonalds. Even though I am not a plummer, at least I am not flipping burgers like you a hole. Apparently you are not a speller either. LOL! You call the hard-working prosecutors “blood-sucking” and when I call you on it I am an “a hole”? What’s the matter, you in a bad mood because you can’t by Lotto tickets with your EBT card? Or did one of those DDA’s put you behind bars for being a Chester? How do you “by” lotto tickets. I thought it was “buy”. Apparently, you have a spelling problem. They are getting compensation time, which according to “the rules” is not allowed. SLO county is not such a high crime area that these guys need ALL THAT time comp’d to them every year. Did you know if a person gets date raped, if a child dies of SIDS, if children get removed from their parents in a drug raid, that a nurse specializing this is is on call? Do you think THEY get weeks of on call pay comp’d to them??? HECK NO. Why are certain county employees SO FREAKING special? It is NOT education and training.